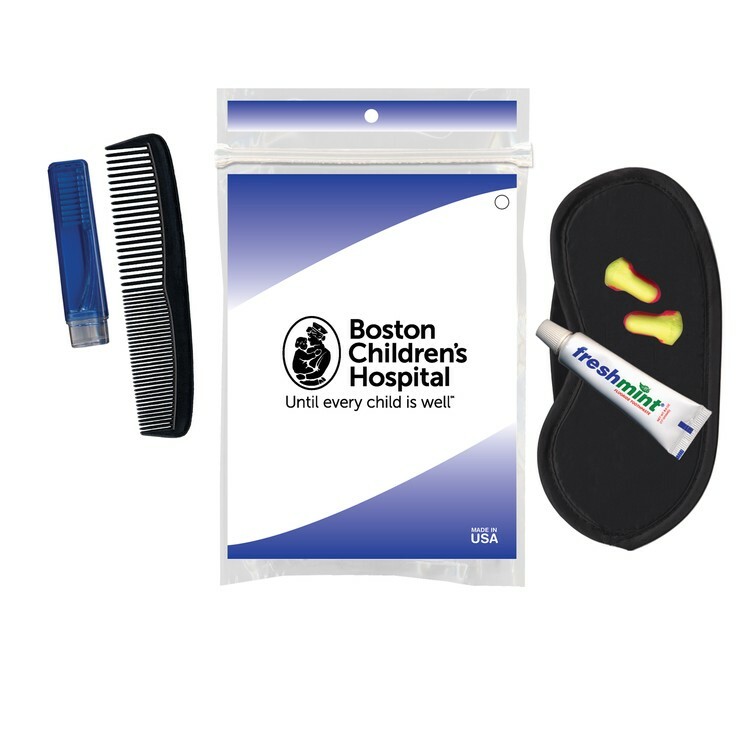 Time spent in the hospital is never fun -- offer your customers and supporters a touch of home with this amenity kit. This 8" x 6.5" resealable pouch has a full-color imprint with your organization or company logo or message. Take some of the sting out of a hospital stay with this kit. This set makes a great giveaway for hospital patients, senior expo attendees, and other guests at health-focused seminars or other events. This kit includes 1 Sleep Mask, 1 2 Piece Travel Toothbrush, 1 Comb, 1 Pair Cordless Earplugs, and 1 Toothpaste Tube.